The coach and player dynamic is something that is always going to be a part of sports. Both parties have designated responsibilities that they must do to have success. The coach has a couple of responsibilities. One is to continue to learn and grow, and the second is to use that knowledge to prepare their players and to give them the best possibility of winning. The player's job is to execute the game plan and compete as hard as they can. Obviously, this is the ideal situation between player and coach, but how do you get to this? A big part of the process is communication. If the coach does not communicate with the players the game plan or isn’t consistently being involved with players on a daily basis, there is no way that the players are going to be at their best. Here are three ways that coaches and players should open up lines of communication between each other. There are only so many minutes, and if the coach has to explain or go over a team strategy multiple times, it just wastes time. Make sure that when you are talking all eyes and ears are on you. 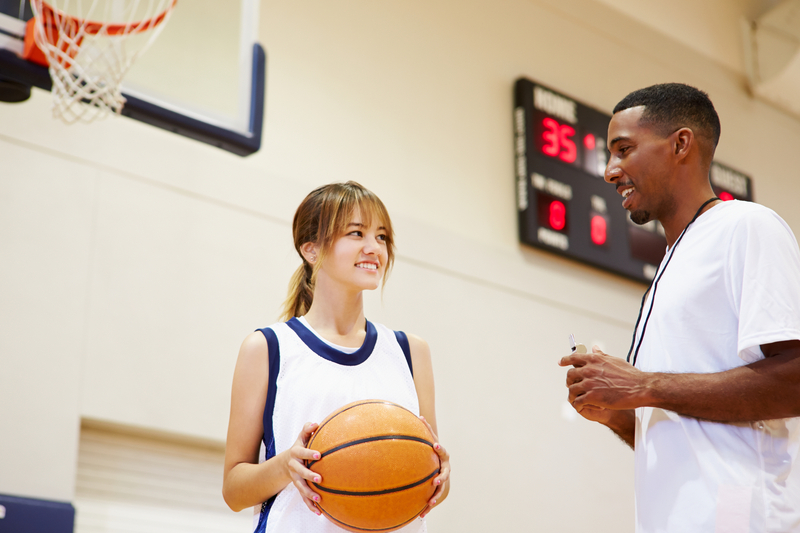 Whether it takes running or some other form of consequence, you need to establish the importance of listening when you or another coach is talking. Also, explain to the players that if they are not listening and paying attention in practice, then you will not be able to trust them to pay attention and do what you say at the end of a close game. If they know that listening directly correlates with their playing time, they will listen. Not everything can be addressed in a group setting, and it would be wise to develop an individual line of communication with each of your players. Whether it is having each player stop by your office once every couple of days, or just talking to them for a few minutes before or after practice, the one on one time is important. It shows that you value them individually, and also it allows you to be able to reiterate in more detail what that player individually needs to do for the team to have success. This will really help to prevent the “well I thought you wanted me to do this...” line later on down the road, and could save you in a close game. You need to be a coach that is willing to listen to their player's questions. Don’t be a coach that the players are too scared to ask questions too. If you don’t have the time, then direct the players to an assistant coach that they can ask the question to, but being able to ask questions clears up a lot of miscommunication between the coach and player. It isn’t always that the player wasn’t listening or paying attention, it may just be that they misunderstood what they were supposed to do. Asking questions will help get and keep everyone on the same page. Communication is vitally necessary if you want to do something special with your team, and the only way to build real relationships with your players is to get to know them, which requires communicating. Take the time to develop those strong lines of communication between you and your players and it will pay off for you on the court and lead to a much more fulfilling coaching career.